KUALA LUMPUR: Six Singapore companies, brought together by International Enterprise (IE) Singapore, announced their intention to partner each other with plans to team up with international players to jointly participate in high-speed rail (HSR) projects, starting with the Kuala Lumpur (KL)-Singapore HSR. The companies involved are Clifford Capital Pte Ltd, DBS, Sembcorp Design and Construction Pte Ltd, SMRT International Pte Ltd, Surbana Jurong Pte Ltd and Singapore Technologies Electronics Ltd.
“Transport infrastructure accounts for 25% of the US$4.3 trillion (RM18.49 trillion) in global infrastructure spending in 2016. The HSR sub-segment is a key growth area,” said group director, IE Singapore Environment and Infrastructure Solutions Group, Kow Juan Tiang in a joint segment yesterday. Kow said Singapore companies could access this space through this strategic project between Malaysia and Singapore. “This partnership between the six companies is crucial for building capabilities in new infrastructure verticals,” he said. Kow said that IE Singapore would continue to drive the interests of Singapore companies in key infrastructure projects. The KL-Singapore HSR is a strategic project between the governments of Singapore, enhance business linkages and bring the people of both countries closer together. The 350km rail line is targeted to be operational by end-2026. In view of the project’s significance and potential, IE Singapore has brought together the companies in line with its role to help Singapore companies capture global opportunities. The partnership leverages unique strengths of each company, enabling them to expand into the HSR segment. Together, their solutions cover the entire value chain of financing, design, construction, system integration, operations and maintenance. The companies plan to partner international players to jointly participate in KL-Singapore HSR. By Sembcorp CEO Yam Ah Mee. "We plan to work with international partners with relevant rail experience as we participate in various aspects of the KL-Singapore HSR. Our wealth of local operating knowledge in Malaysia and Singapore is complementary,” said Yam. Meanwhile, Surbana Jurong sees the KL-Singapore HSR as a highly strategic project that opens up a new sector growth for companies in the infrastructure space. 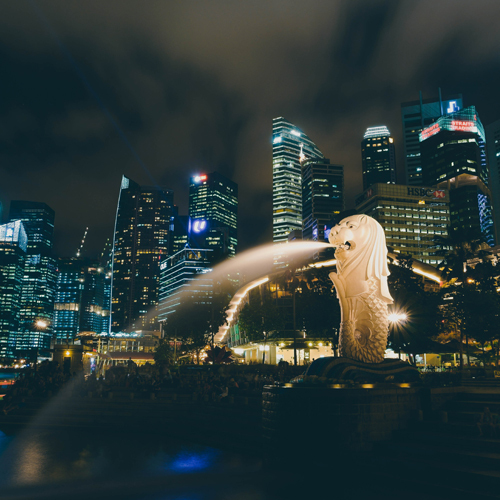 “We are therefore pleased to be part of this Singapore Inc partnership,” said its CEO International (Singapore, South-East Asia, North Asia), Teo Eng Cheong. The Land Transport Authority and Malaysia’s MyHSR Corp Sdn Bhd will conduct an industry briefing on July 5 to outline parameters of the upcoming asset company (AssetsCo) tender for the KL-Singapore HSR. The AssetsCo will be responsible for the design, build, finance and maintenance of rolling stock and the design, build, finance, operations and maintenance of all rail assets (for example track work, power, signaling and telecommunications), including network operations. The tenders for the projects are expected to be called by end-2017.